Luxury Self Catering in Killarney - Why Luxquisite Is the Best? 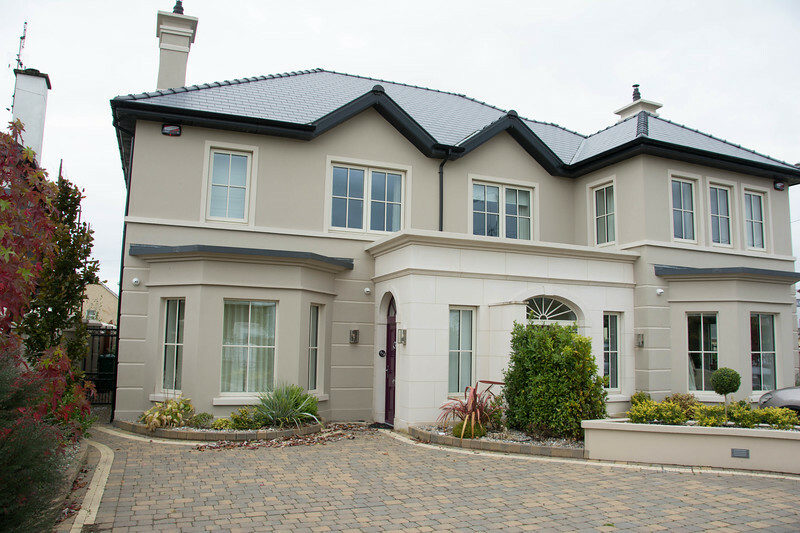 Home Ireland Luxury Self Catering in Killarney – Why Luxquisite Is the Best? 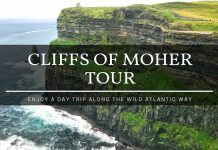 If you are heading to Ireland for the first time, you will likely want to experience the amazing culture, ancient history and breathtaking natural landscapes associated with the Emerald Isle. 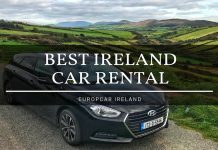 We spent several days in the County Kerry region during our week long Ireland road trip and we want to share a few reasons why self catering in Killarney is the best choice if you are considering accommodation options for an upcoming visit to this area. Take a moment to contemplate the thought of having a house that can be controlled with the touch of a button. 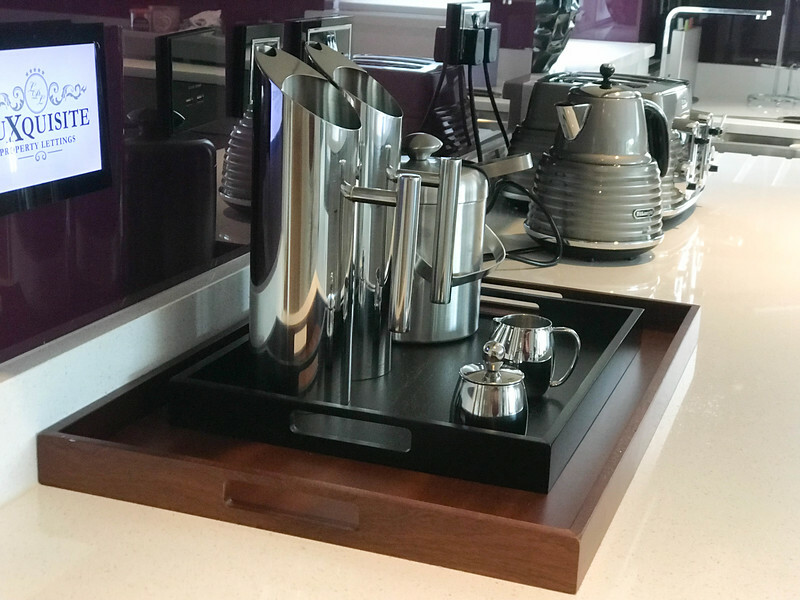 A simple touch of a button transforms your home into everything you need to enjoy your evening. 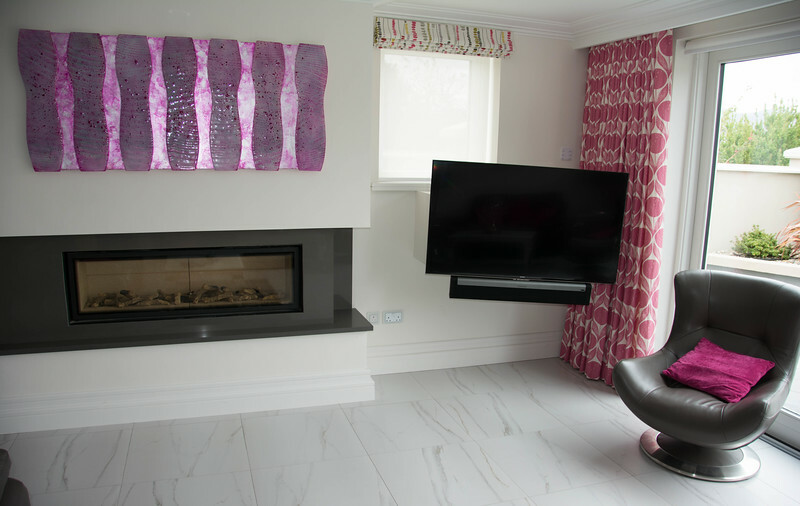 From the raising of blinds to turning on the TV and lights, this is the epitome of a “smart home” and one of the many amazing components of staying inside a luxury accommodation option by Luxquisite Property Lettings in Killarney. 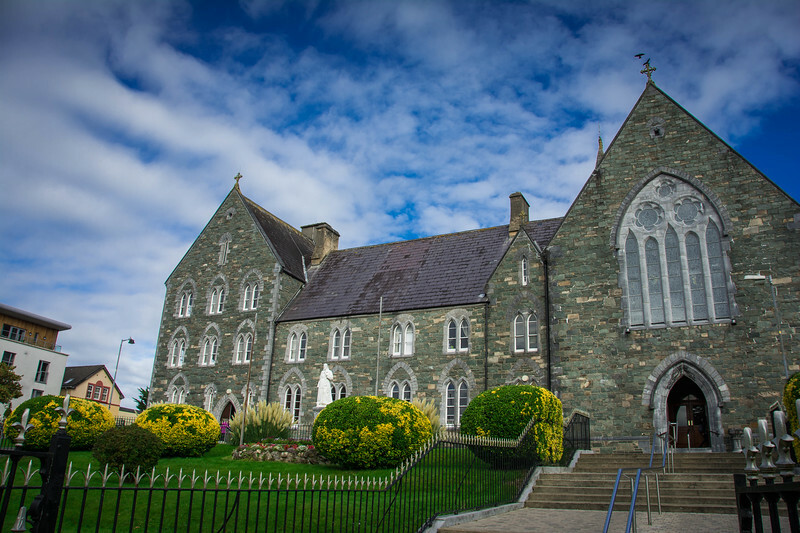 We were incredibly fortunate to stay at the Belmont property just a few minutes walk from the heart of Killarney town center and we want to share our experiences to hopefully inspire you to consider a visit in the near future. 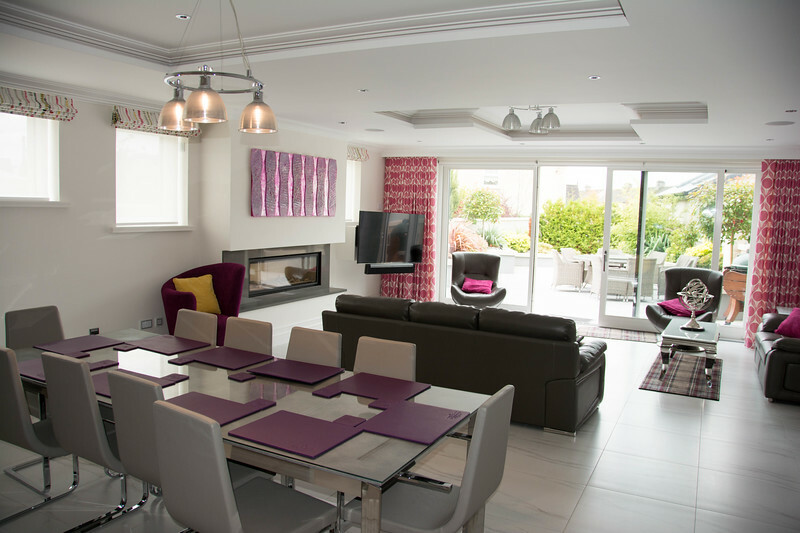 Luxquisite properties are ideal for large families that want a self-catering option or perhaps for a group of friends looking to enjoy a getaway in the beautiful County Kerry region of Ireland. 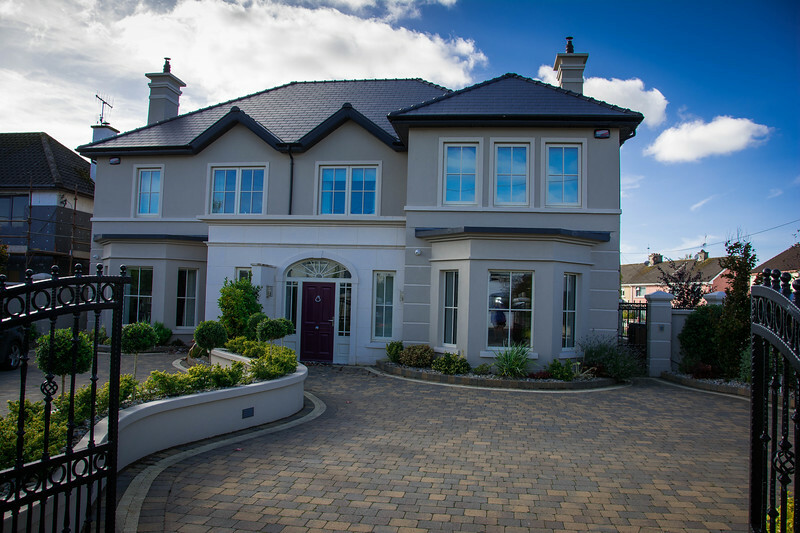 Let’s take a look at all the components as to why Luxquisite Property Lettings are the “ultimate luxury” options throughout Ireland! 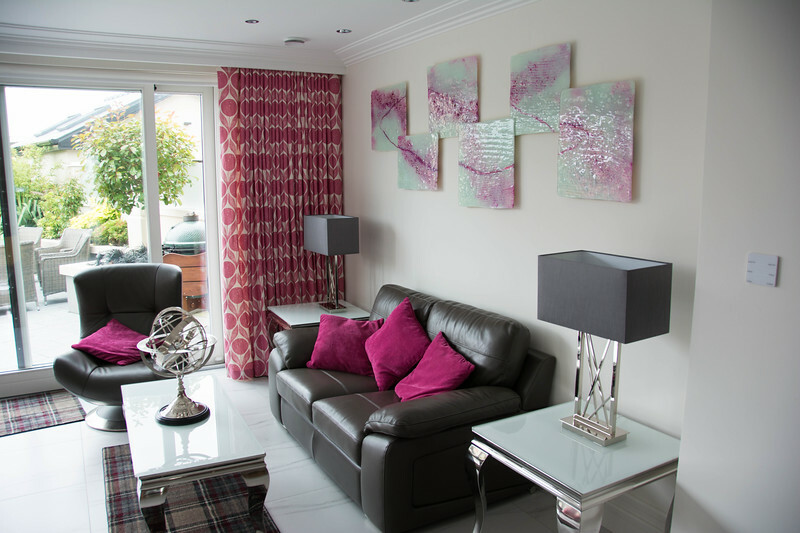 Luxquisite – Best Self Catering in Killarney? 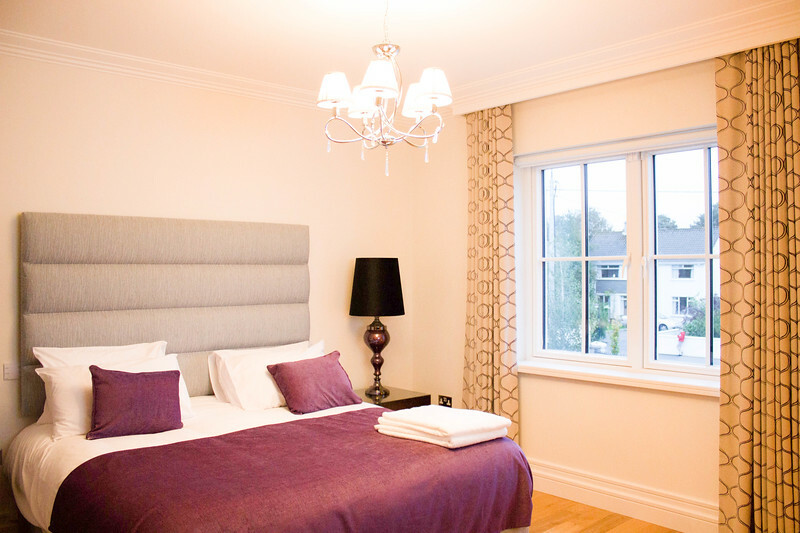 If you are looking for a “haven of peace and tranquility” while exploring Ireland’s finest landscapes, look no further than Luxquisite’s unique blend of luxury accommodations. 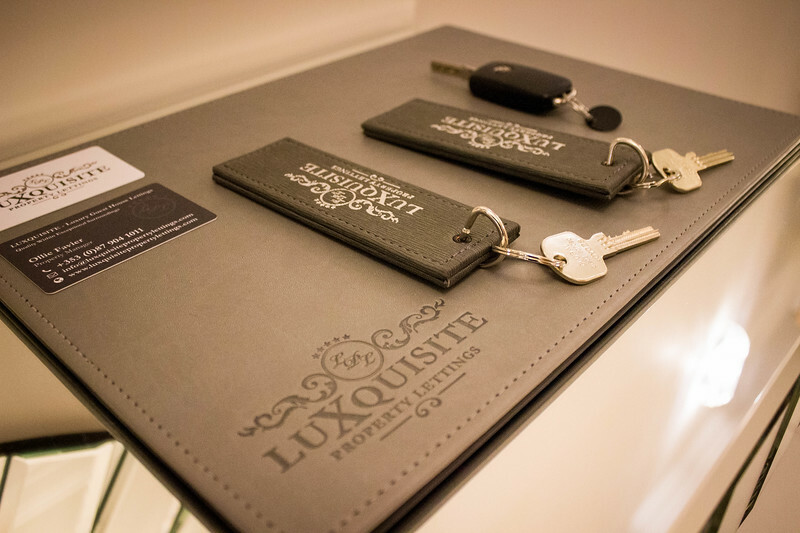 With a focus on ensuring every guest has the ultimate experience, Luxquisite offers a concierge-style service so that every need is catered for during a stay. When you think about 5-star hotels around the world, I am sure many of you will have images of luxurious decor, fine dining, and spacious presidential suites. How about if we brought all of that into a self-catering experience? 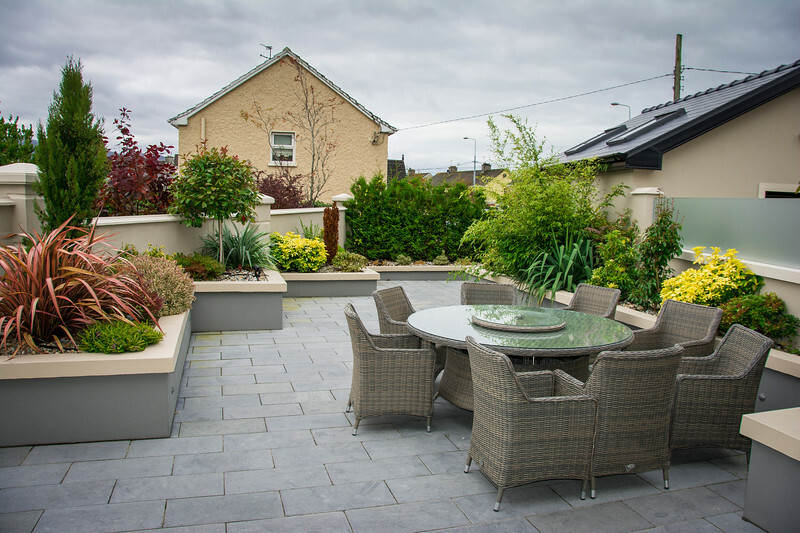 That is exactly what Luxquisite have achieved with their properties throughout Killarney! These 5 star properties provide guests with an opportunity to avail of the local flawless hospitality that makes Killarney the success story it is. One of the great benefits of staying at a Luxquisite property is that you can enjoy the perfect blend of period-style architecture on the outside combined with luxuriously furnished modern features throughout the interior. The three current properties available are as follows and although our focus is going to be on the Belmont where we stayed, I think it’s fair to say you cannot go wrong with any choice from the Luxquisite portfolio. Prices vary throughout the season and there is generally a minimum two-night stay required at each of the properties (you can contact Ollie Favier, the property manager about alternative options). 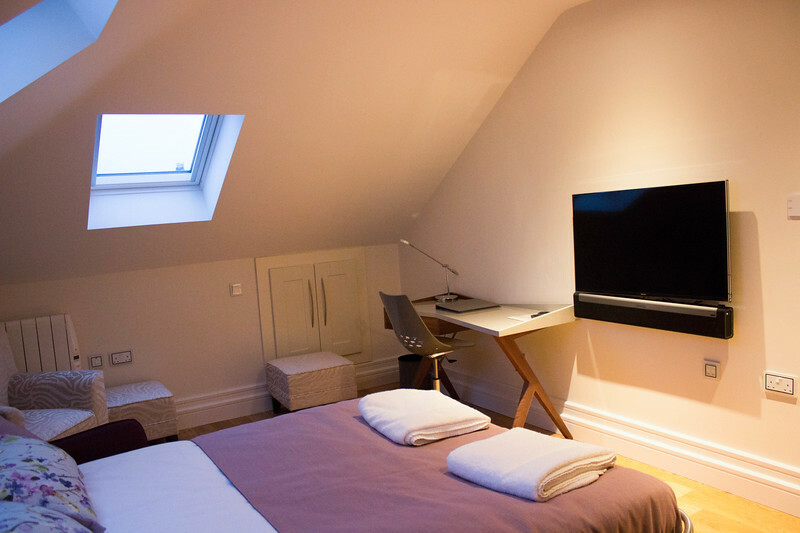 Although 300-550 Euros per night may seem a little expensive, if you are planning a getaway with friends, it can work out as a very affordable option. 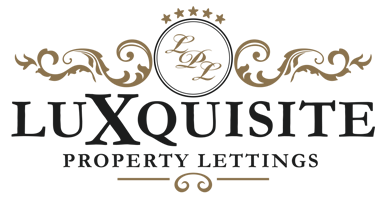 Be sure to visit Luxquisite Property Lettings website for further information on the various properties available in Killarney, Ireland! The moment we pulled into the driveway at the Belmont House, we knew that we were in for a pretty special experience. 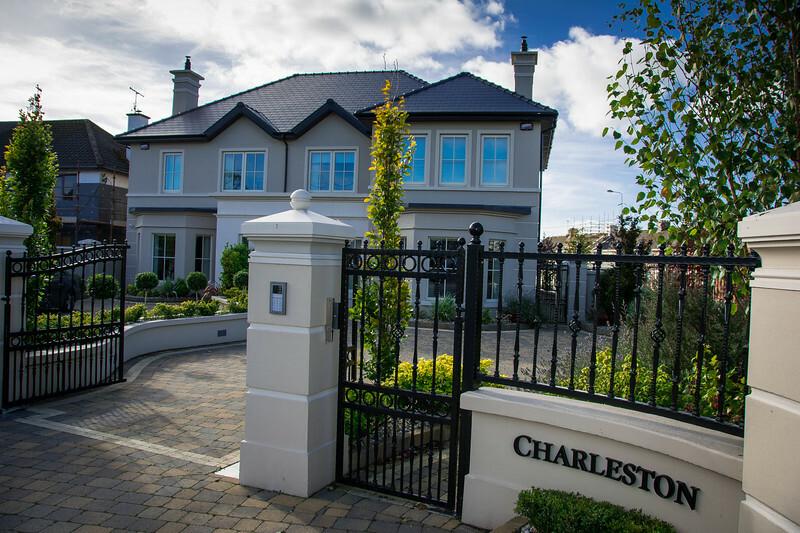 Located directly next to the Charleston House, these two gorgeous properties are difficult to miss as you drive along Upper Lewis Road. The real treat awaits you when you open the front door and enter this breathtaking mansion. 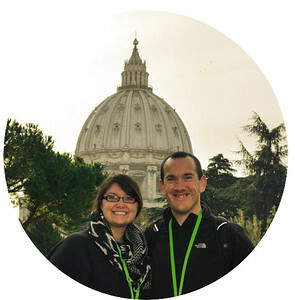 Although it’s not necessarily portrayed as a “mansion,” it’s fair to say that compared to other places we have stayed around the world, this is definitely a word we wanted to associate with this property. We stayed four nights at the Belmont along with our fellow travel blogging friends, Lauren from Justin Plus Lauren and Ashley from A Southern Gypsy. This was the PERFECT place for a group of travel bloggers to not only explore Killarney and attend the TBEX conference but also as a base to explore other parts of County Kerry. 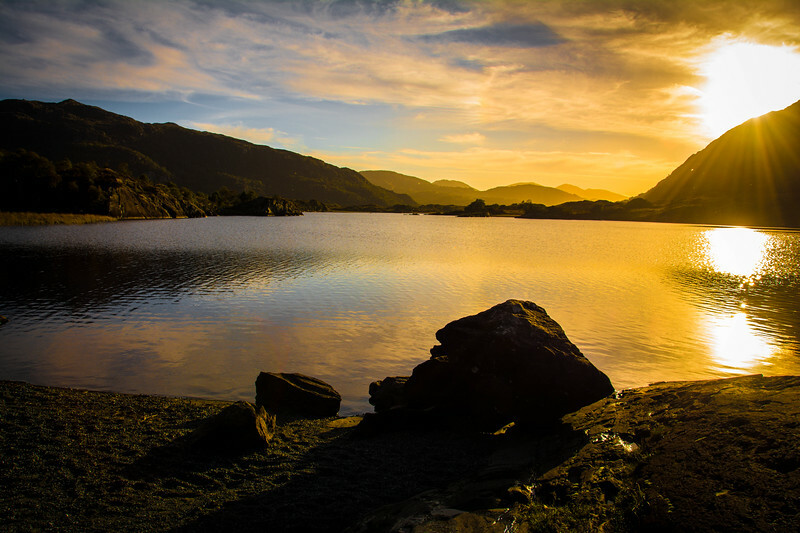 Killarney National Park, the Ring of Kerry and a day trip to the Dingle Peninsula are just a few other experiences you can enjoy when you stay here. 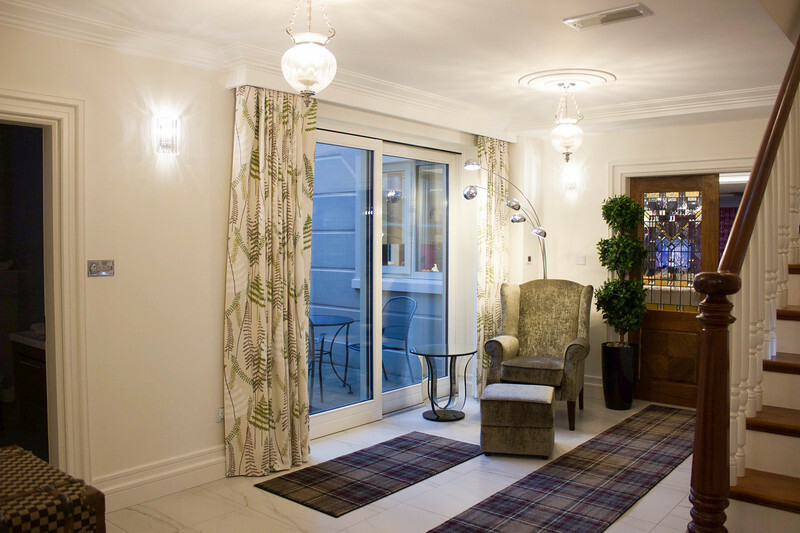 As you take a walk around the house, you are constantly reminded of the luxury accommodation option that you have chosen for your stay in Killarney. 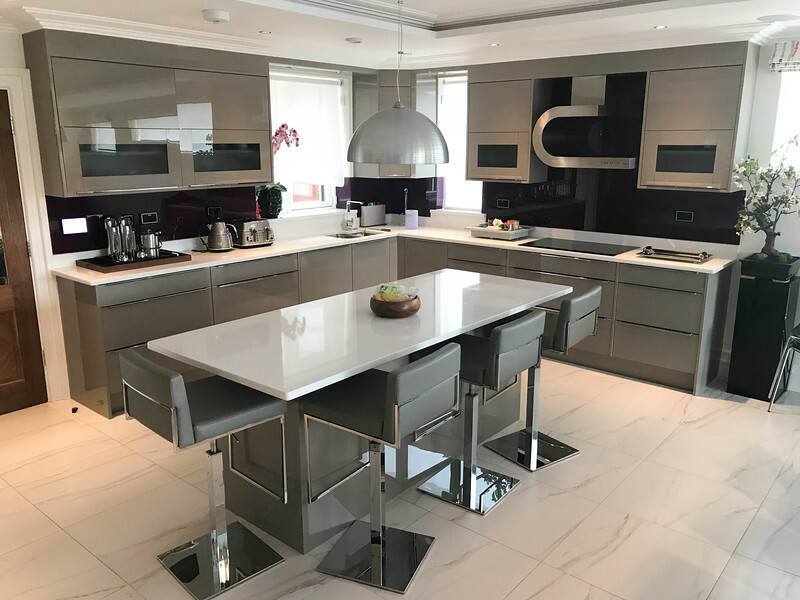 Whether it’s the contemporary leather Italian furniture in the living rooms or the gorgeous quartz kitchen island, there is no lack of intricate detail throughout Belmont House. Let’s take a look at the various areas throughout Belmont House that you will likely want to experience during your stay. 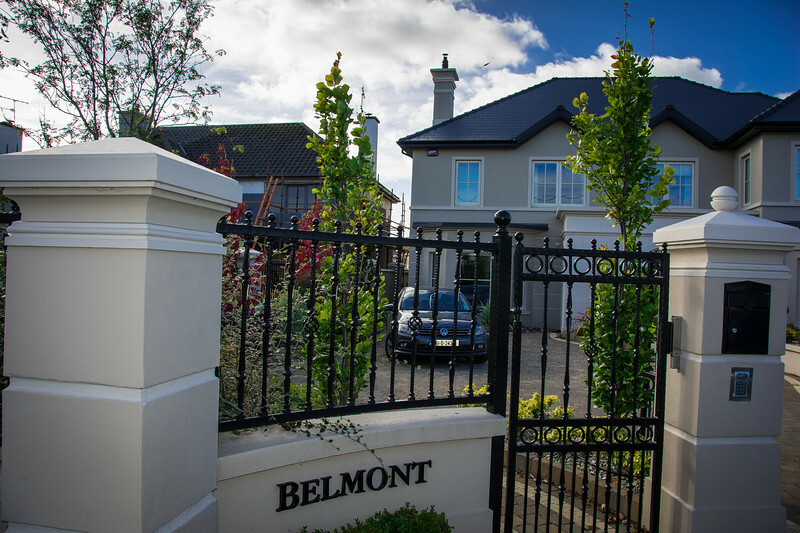 I have to admit, for four travel bloggers, Belmont House was a little overwhelming for us in terms of size and “smart” technology but it was an experience we won’t forget for a long time! Two spacious living areas offer guests the opportunity to relax in either the formal front living room area or the larger open plan space in the back. As mentioned, gorgeous Italian furniture offers comfortable seating options while high definition Smart TVs combined with Sky satellite feeds ensures you can watch all of your favorite channels after a day exploring the region. 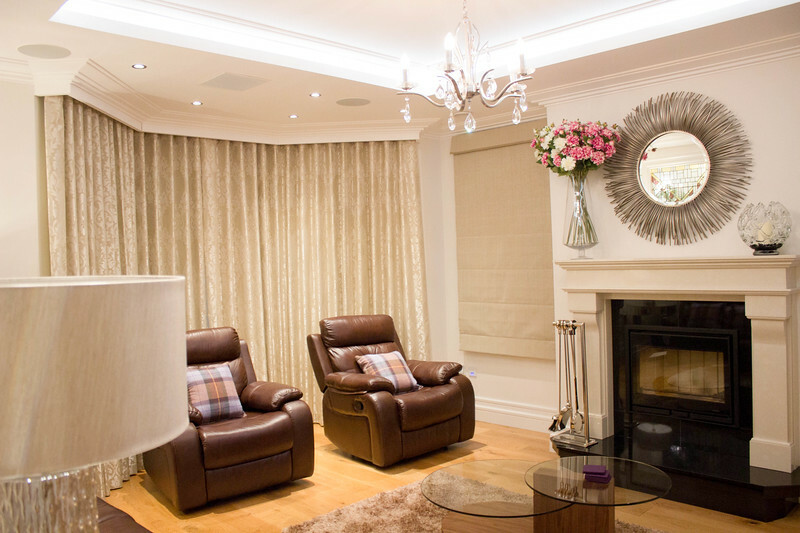 A home cinema surround sound system is built into the “family room” area and at the touch of a single button, everything springs to life! High-speed wireless internet is available throughout Belmont House but if you are trying to catch up on some work (as travel bloggers this was extremely helpful! ), find a relaxing spot on the sofa or at the desk and enjoy the relaxing atmosphere. 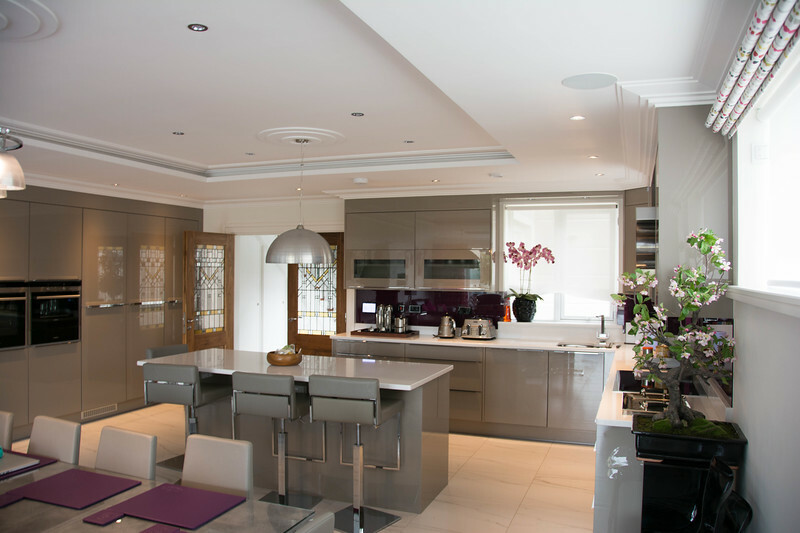 If you love a kitchen with modern amenities, Belmont House will leave you speechless! Top of the range Siemens stainless steel appliances can be found throughout the kitchen and everything you need to create your “home away from home” is present. The ultra-modern cabinetry throughout is the perfect accompaniment to the appliance range. You may not notice it at first but if you are staying at Belmont House during a cooler time of the year, the geothermal underfloor heating will prove to be extremely beneficial. Belmont House offers four spacious bathrooms, each with unique, modern amenities that provide a relaxing experience for guests. Why not relax in the jacuzzi bathtub in the main bathroom or enjoy the walk-in showers that are an integral part of the bathroom experience? 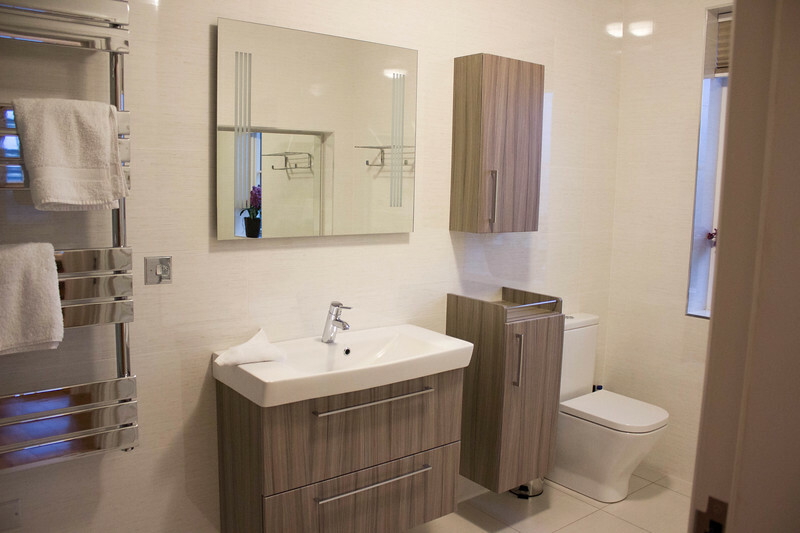 The gorgeous chrome fittings are a standard feature throughout the bathrooms and certainly add to the “luxury” feel portrayed in this house. 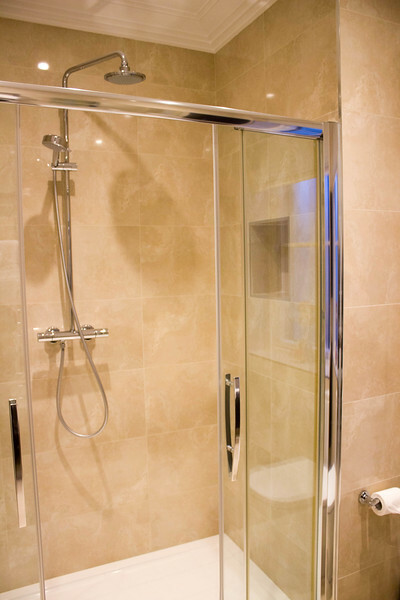 The heated towel rails are a nice feature after enjoying a relaxing shower but regardless of which bathroom you use, you can be sure that everything you need will be waiting for you. 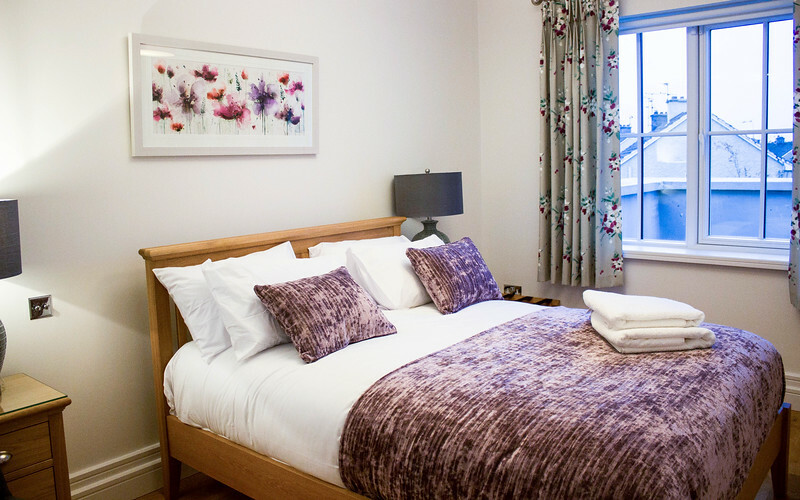 With four bedrooms on the second floor and another in the attic, there is no shortage of space at Belmont House to cater for all the guests. Deluxe orthopedic style mattresses can be found in all the bedrooms and the challenging aspect will be determining which bedrooms each guest has. The reality is, it doesn’t matter because all of the bedrooms are spacious, comfortable and offer a unique experience to ensure you have a great night’s sleep! It’s not just the interior of Belmont House that will attract your attention. Aside from the spectacular welcome that you receive when you pull into the driveway, at the rear of the house is a breathtaking patio area that is perfect for relaxing on a late summer’s evening. For those of you that want to enjoy some outdoor cuisine, take advantage of the Green Egg barbeque and large patio furniture set. 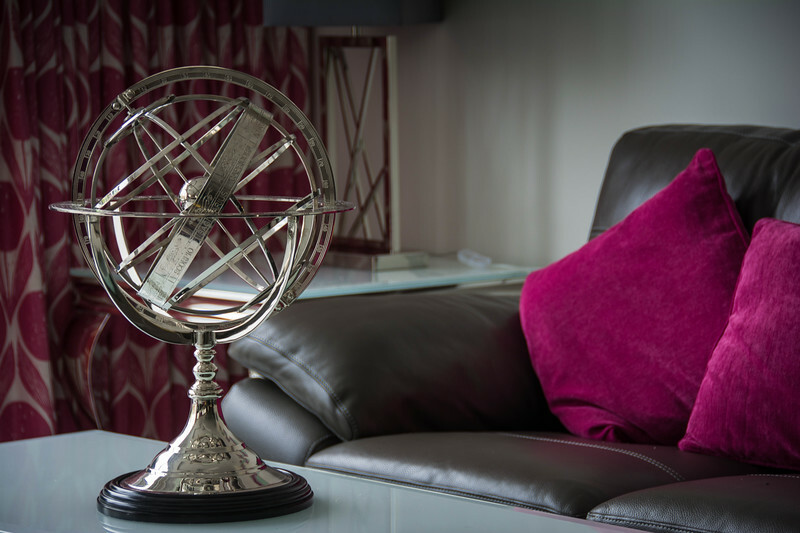 Whether you are staying for just a couple of nights or a longer period of time, take advantage of all the “homely” amenities throughout Belmont House. 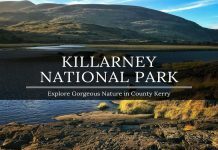 We thoroughly enjoyed our stay here and look forward to returning to County Kerry in the near future to enjoy what we now consider to be the best self-catering option in Killarney. Perhaps next time we visit we will figure out how to make the most of the smart home features or maybe we should just accept that Belmont House will always be smarter than us! We want to express our sincere gratitude and thanks to Ollie for his gracious welcome into this amazing property. We can well and truly attest the concierge service offered by Ollie is second to none and he catered to all of our needs and more. 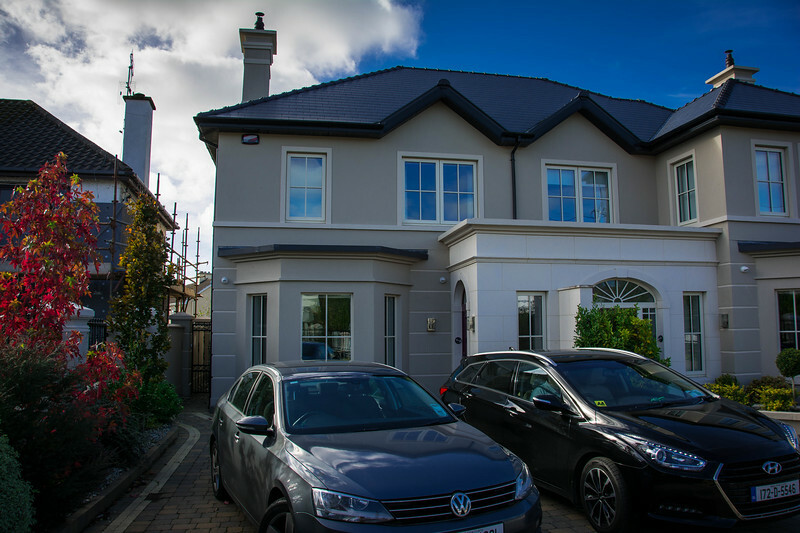 If you are planning a trip to Killarney, in our opinion there is no better choice than Luxquisite Property Lettings…it’s well worth it folks! Next articleHow to Enjoy the Best 3 Days in Gulf Shores and Orange Beach? The luxury nature of these places combined with smart tech makes for quite the combo Chris. Inspired stuff!